Graves Motorsports Yamaha R6 Suspension Link for the 2006-2016 model bikes (does not fit R6S). These kits are CNC-machined from billet aluminum and each arm includes all of the required bearings and seals. 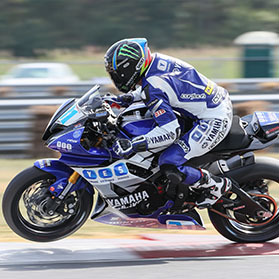 Graves Motorsports R6 suspension linkages are the result of years of testing and race experience on the Yamaha R6. These are an improvement for any level of rider. This linkage system can be found on many Yamaha R6 race bikes including Team Graves Yamaha. Select from the A or B versions from the pull down menu. The A Link works best for all around grip and B is for extreme conditions. Thanks for your business.